Aviation industry officials of India and Sri Lanka are continuing their discussions on forming a joint venture to develop the Mattala International airport. Executive Director, Airport & Aviation Services (Sri Lanka) Limited (AASL), Johanne Jayaratne said the current discussions are focused on aircraft movements and air space movements in Sri Lanka. He added that the revival plan of the airport would be based on a lease agreement with India; however, aircraft movements and the air space use would be totally controlled by Sri Lanka. Accordingly, the AASL would have a minimum of 30 to 40% controlling share of the airport. The lease agreement too is expected to be for a period of 30 years, he said. Mattala airport recorded 176 non-scheduled international operations and 440 non-scheduled domestic flights in 2017. Up to April this year, there were 42 International non-scheduled flight operations and 56 non scheduled domestic flights to Mattala. Subsequent to the opening of the Mattala International airport, Sri Lanka has earned additional foreign exchange of Rs. 90 million a month through over flying charges. This increase cannot be purely attributed or qualified as a direct result of the new airport. 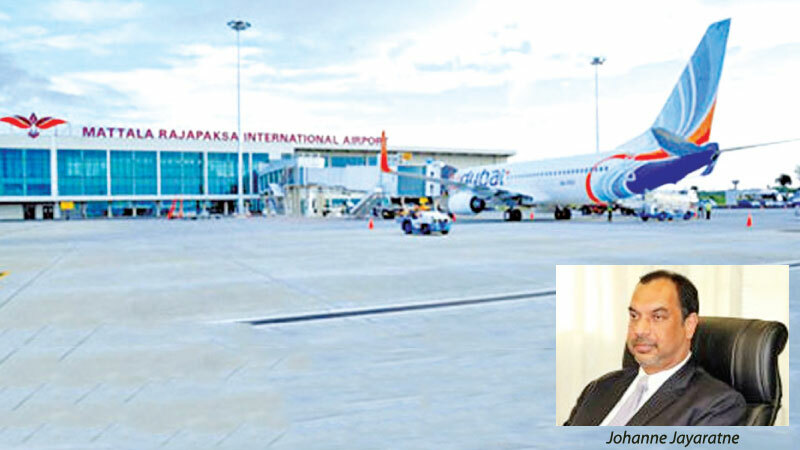 Jayaratne said the airport was built with the expectation of attracting A-380 Airbuses to Sri Lanka. “When the Mattala Airport planning was in progress it was believed that it could be a commercially viable project. But today the aviation dynamics have changed a lot and the A-380 aircraft option is not viable as they are being overshadowed by A320 Neos’ and similar aircraft with greater endurance but smaller in size. They do not need a CODE F (size of A-380 runway) runway to land.”Meanwhile Prime Minister Ranil Wickremesinghe last week said that government is making elaborate plans to re-activate the Mattala International airport and planning to attract air passengers to use it commonly. Prime Minister Wickramasinghe speaking at a youth forum in Moneragala last Saturday said that the airport can be made an attractive place for tourists especially for passengers from neighboring India which in turn will help the economic revival of the entire Southern Province.